There’s no side dish more classic than a hot, steaming baked potato. And no potato bakes better than an Idaho® Potato. 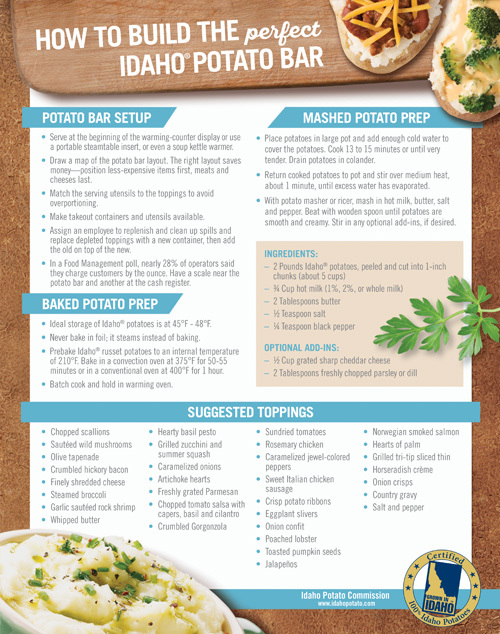 Download Our Wall Chart For Building The Perfect Idaho® Potato Bar. 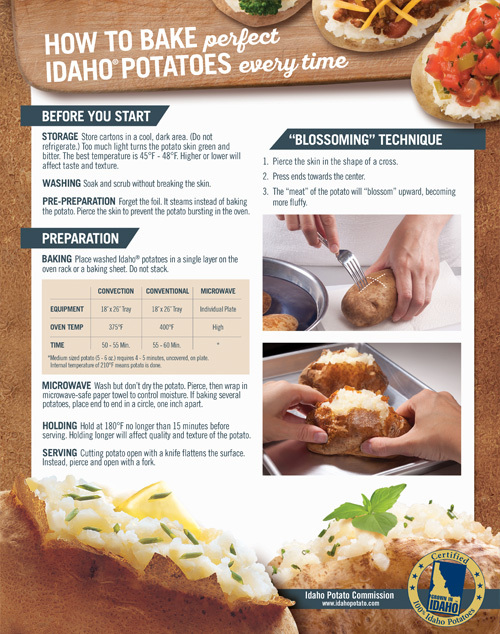 Download Our Wall Chart For Baking Perfect Idaho® Potatoes Every Time.